Come explore another beautiful farm that MFT helped to protect in 2015. We’ll ski or hike around the many trails that surround High View Farm, stopping in the farm yurt for a hot drink and conversation with farmers Bill and Darcy about their land and hopes for the future. All ages and experience welcome. Bring your own skis/snowshoes or winter boots! Free for MFT members, $5 donation suggested for non-members. 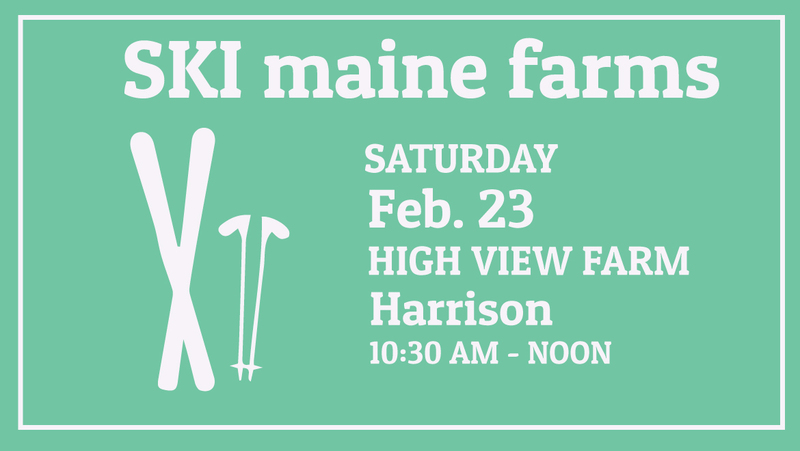 Please RSVP to Caroline@mainefarmlandtrust.org// 207-338-6575 x 305.